Our friendly, professional team is waiting to assist you with your Sixt car rental at Milan Central Station. Our branch is just a few meters from the station and is ideally situated for those wishing to transfer from train to car effortlessly. The convenient setting also makes our rent a car Milan central station branch a smart choice for drivers who want to collect their vehicle from a central location. Plus, our competitive rates combined with a premium fleet of sedans, compact cars, SUVs, sports car and convertibles ensures that you can always select a car that fully meets your needs. 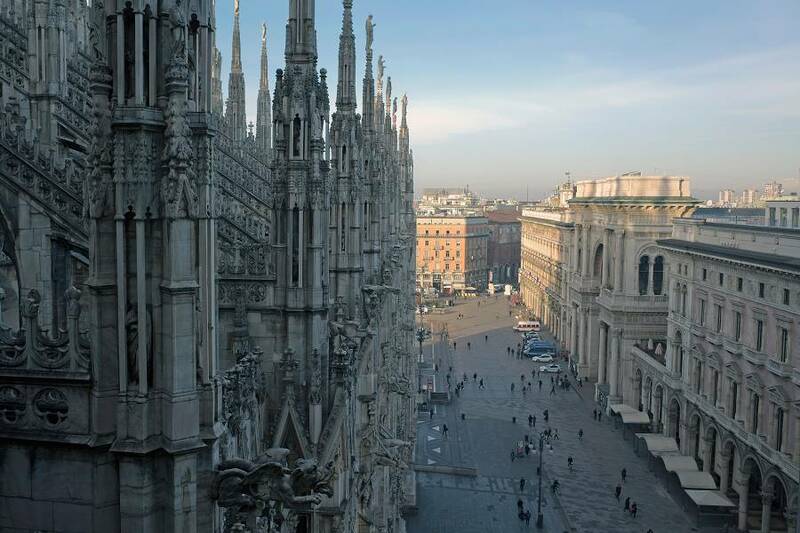 With so much to see and do in Milan, make sure you get to it all with a reliable means of transportation. Reserve your car online or by telephone prior to your arrival in Milan and be sure to take advantage of our great range of optional extras. You might include an additional driver in your rental package or choose insurance protections like collision damage waiver. Our Sixt rent a car Milan Central Station branch is also set up to offer you more flexibility with your travels and you can take advantage of our 24 hour vehicle returns. Sixt looks forward to helping you explore this fascinating city in comfort and style. Please take note that while guarantee your reservation for the chosen car category, specific models are subject to availability. Let us get you on the road in Milan! In our branch at Milan Central Station we accept credit and debit cards. Vpay and Mastro cards are accepted as long as they are not prepaid. The name on the card must be the same as the name of the first driver. At Milan central station we have 2 counters at the ground floor of the main hall. - If you are facing the front of the train station: The first counter can be found immediately in the main hall as you enter the station through the middle entrance. The second one can be found on the west part of the train station. You need to turn left and our counter is on the right corner of the corridor. - If you are arriving by train: The first counter can be found as you go straight towards the main hall, as for leaving the station on the main exit. The second one can be found on the west part of the train station. You need to go straight towards the main hall, turn right and our counter is on the right corner of the corridor. Exit the train station and you will find our parking spaces right in front, towards the right side (P1). You can reach Milan Train Station with the green and yellow metro lines, and with buses 90, 91, 60 and 5. The parking P1 is in front of the railway station, in via 4 Novembre, the access is right in front of the hotel Gallia. The closest petrol station is Esso, leaving the station from the front, turn right and go straight for 300 metres, you will find it on your right hand side. Address: Via Galvani 18, Milano. Please park the Sixt vehicle on one of the designated Sixt parking lots in front of the train station, left side, and deposit the key in our keybox at the Sixt counter inside the train station on the west side. Please note, that the train station is closed from 24:00-06:00 a.m. and a return will be not possible.